Amusement Area Employees is a labor Union representing the majority of the non-management employees at Universal Studios Hollywood. 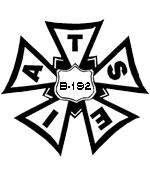 Chartered in 1965, B-192 is an autonomous Local affiliated with the Special Departments of the International Alliance of Theatrical Stage Employees, Motion Picture Technicians, Artists and Allied Crafts of the United States, its Territories and Canada (IATSE). As a Union member you have certain rights and obligations. You are always welcome to ask questions of your representatives and officers, or to stop by the Union office to pick up a copy of the contract and Constitution and By-Laws. We hope you have a fulfilling experience in your work and become informed and involved in your Union. "Unions engage in 'Collective bargaining'. Collective bargaining is how working people gain a voice at work and the power to shape their working lives. Support strong families with better benefits and due process and are good for workers' retirement security"
On Sunday, January 27th, 2019, in accordance with the Local and the IATSE International Constitution & By-Laws, a meeting was held to conduct a contract ratification vote. The collective bargaining agreement was ratified by the membership by a vote of 296 yes and 47 no, and the term of agreement begins January 16, 2019 and ends January 30, 2022. The new contract will be available soon here on our website, and we will update members here when it's available. To be admitted, you must have your Universal ID and be an active member in good standing*. *In good standing means all application fees, initiation fees, dues, and any other financial obligations to the Union must be current and paid in full and the Member must not be on suspension from the Union. Please spread the word to your fellow members. If you have any questions please contact us at Info@B192iatse.org or (818) 509-9192.